Chapel Hill, NC — Enjoy stunning piedmont views and an elegant, country feel at this home in Chapel Hill. Inside a beautiful, family-friendly neighborhood, 60 Meadow Run sits on 4.5 acres and includes the perfect front porch for rocking chairs! You’ll surely be relishing the North Carolina summers here. 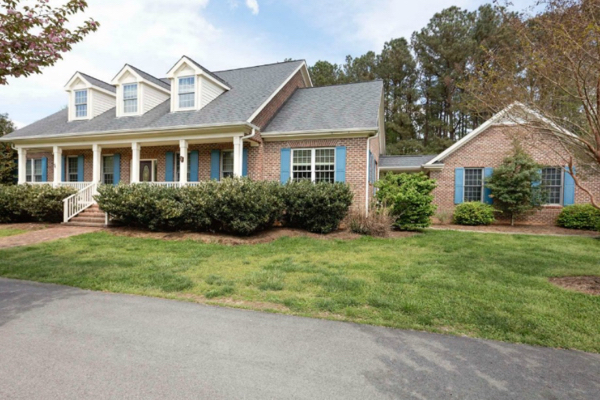 This house, located at 60 Meadow Run in Chapel Hill, sits in the Arbor Lea subdivision and is a short, 10-minute drive to the University of North Carolina in Chapel Hill. You’ll want to spend your entire summer outdoors, as the view of the woods from the back porch is stunning, and the front porch is perfect for rocking chairs. 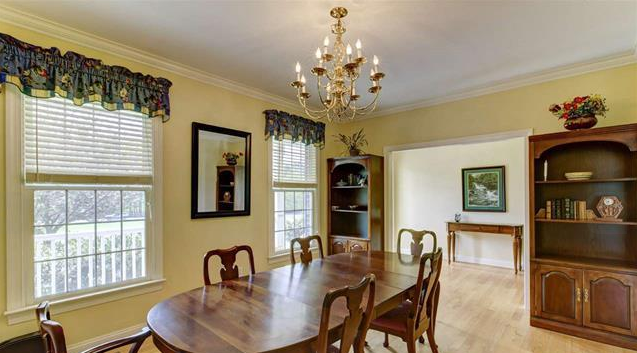 Inside, the hardwood floors give the home and elegant, country feel. The first floor includes the master suite, a large living room and breakfast room. The second floor houses a large bonus room, as well as two bedrooms with sitting areas and an office. 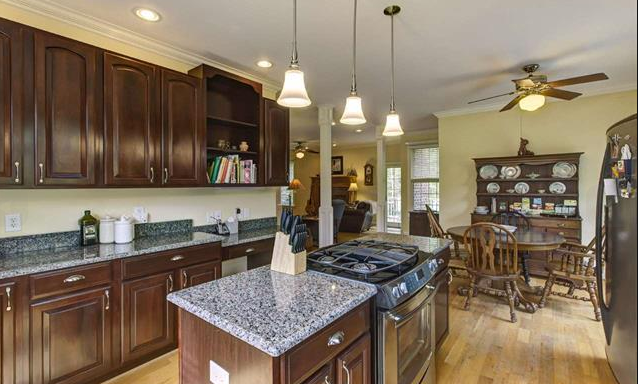 The kitchen is simply marvelous, complete with stainless appliances, granite countertops and a gas stovetop. You’ll love cooking and entertaining in the updated space, especially during the summer months when you can enjoy the back porch! Even though the house is located in Chapel Hill, one of the three big North Carolina Triangle cities, you’ll still be paying (lower) Chatham County taxes. Also, with easy access to 15-501 and Highway 64, you’ll be close to places like Raleigh, Jordan Lake and Pittsboro. You’ll love using the stainless steel appliances and gas stovetop! Take a look at the virtual tour of 60 Meadow Run here: Click to view! 60 Meadow Run is located in the Arbor Lea neighborhood, which is a beautiful neighborhood with lots to offer. According to City Data, the neighborhood has very low crime rates, higher-than-average educational attainment, and higher-than-average levels of family households and married couples. Like I said above, Arbor Lea is a short drive from UNC, Raleigh, Jordan Lake and more. Each year, the Triangle area wins plenty of awards from national publications! For instance, Forbes ranks Raleigh as the No. 1 city for raising a family and the No. 2 city for young professionals, and Gallup ranks Raleigh-Cary No. 1 and Durham No. 2 for overall well-being. Also, last year, North Carolina jumped from No. 4 to No. 3 this year on Forbes’ list of the best states for business. What about Chapel Hill? Chapel Hill is No. 1 on real estate blog Movoto’s list of best small cities for education. The same publication also lists Chapel Hill is the No. 3 most caring, city. I guess it’s the southern charm! Chatham County: Chatham County has no shortage of awards either! In fact, I blogged this past year about Fearrington Village, located next to Pittsboro, which can boast being the Most Educated place in NC and home to the Best Restaurant in NC. The hardwood floors give the home an elegant, country feel. Get in touch for more info or a tour of this fabulous property.